Previously we could only get a glimpse of the $3,000,000 stretch goal, but it looked an awful lot like the Wii U logo, so we had our suspicions of a Wii U release of Bloodstained: Ritual of the Night stretch goal. That suspicion has finally been confirmed! The kickstarter funding sits on $2,765,983 with 16 days to go, which should hopefully be enough time to reach the next goal. They even gave us details of who would be working on the Wii U version, Armature Studios. Are you excited to see this game on the Wii U? “That’s right: You’ve blown our expectations so far out of the water that we’re ready and able to get started on a Wii U version. With that in mind, a lot of you have asked about ports—not just because you want them, but because you want to make sure that making them won’t affect IGA’s vision for the game. We have good news, and really good news. The good news is, it won’t: IGA and Inti Creates are going to continue developing the game as before, without compromise. The really good news is how they’re going to ensure it won’t: At our next stretch goal Armature Studio will join the fray to handle the Wii U version. If you haven’t heard of Armature yet—and don’t worry, you will soon enough—you’ve definitely heard of the work they’ve done: Armature was formed in Austin, Texas by a team of key developers from the Metroid Prime franchise, and since then they’ve worked with companies like EA, Konami, WB Games, Gearbox, and Sony to produce original games and HD remasters. 3 Million dollars in order to consider doing a WiiU port. What kind of bait/joke is this. The $270,000 is for the the whole game, they need an extra $250,000 to port it to Wii U.
Wait… I thought the Wii U couldn’t handle Unreal Engine 4? It can’t…. That’s why another developer is porting it! The salt is strong in you. You drew the wrong connection here. When they said “brethren on Unreal Engine 4” they literally meant “brethren on Unreal Engine 4” not “brethren, on Unreal Engine 4”. I know it’s just a comma, but it makes a huge difference to the context. The first sentence implies that the brethren are on Unreal Engine 4. The second sentence implies, that the Wii U version itself is on Unreal Engine 4. Since it’s the first case here, they’re only refering to the brethren – that is the PC, XBOX ONE and PS4 versions – that are running in Unreal Engine 4. Lets see if they cant get UT right. If not they are as good as gone. I’ll keep an eye on it. If it makes it, I’ll consider supporting. If I forget to track it I’ll just get it on regular release. Isn’t Inti Creates the company involved with Mighty Number 9? Hopefully this will get a physical release as well cause that’s the only way I am going to be playing it. Now I want to play it on the Wii U. With whats been going on lately, I’m not really sure I can’t trust them. 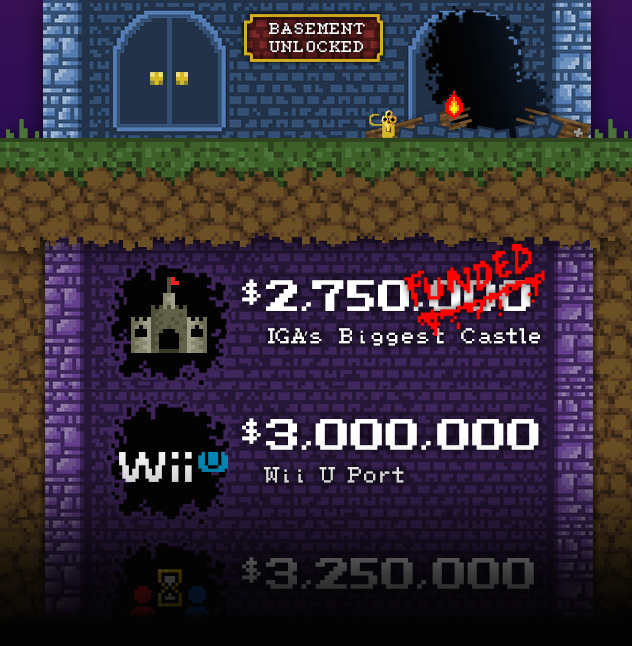 I’ll only buy it if it reaches the Wii U goal, Metroidvania shouldn’t be on non-Nintendo consoles. Heck, the NES can run Unreal 4 too – The issue is that Epic doesn’t include a deploy option for that system because it’s not capable out of the box. That leaves the developer not only to optimize their work, but to port a chunk of the code manually as well. Metroidvania STARTED on non-Nintendo consoles you idiot…. I’m backing this project. Then I’m going to play Order of Ecclesia, which this is clearly a spiritual sequel to. If this reaches Wii U, I hope it gets a physical release as well.